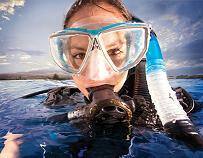 Comprehensive & detailed descriptions of most major brands of Scuba Diving Equipment and Scuba Diving Gear. As a professional scuba diving instructor for over 20 years, I am often asked general and specific questions about Scuba gear “Is this a good scuba diving regulator?”,“What should I buy first?”, or "Can I call with my Scuba Equipment questions?" So, I called my fellow scuba instructors and got together to create this site. We will cover all of the features and benefits of the latest scuba equipment from most of the major scuba gear manufactures. We interviewed the designers and engineers that help design this scuba equipment. Finally we spoke to the people who dive in the gear week in and week out. Visit our scuba equipment forums, where beginning divers can ask someone for fair and honest assessments of each piece of equipment. Yes you can spend hundreds of hours talking to the people who sell the gear or even speak to the manufactures of the scuba equipment, but for straight answers from the professional and other users like yourself, use these free forums. Have a scuba diving equipment warranty question or need to call the scuba manufacture? 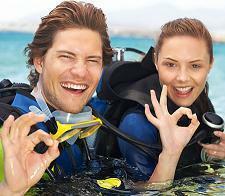 Visit our scuba warranty links or manufacture links. Each scuba manufacturer has their own warranty procedure and not all of the scuba manufactures make it easy for a scuba diver to get the scuba warranty they deserve. We attempt to make it a little easier. We make tons of scuba recommendations, but we do not sell a thing. Find out the latest news and information regarding scuba info. Would you like to share your knowledge about scuba info? Great, find out how you can submit your story or tip here.